Cappadocia is one of the greatest locations for horseback riding. For some people, horseback riding is all about the thrill of victory. But for others, it’s about the exhilaration of venturing into the unknown and enjoying the pleasure of an epic journey. One of the advantages of a horseback adventure is that it combines the joy of two unique activities: Horse riding and travel. There are countless incredible, some might say life-changing, horseback adventures across the globe that allow riders to see some of the world’s most breathtaking sights in person, while satisfying their inner explorer. The following are four that should be on any rider’s bucket list. Mongolia is home to one of the last surviving nomadic cultures on this earth, which has been around since before even Genghis Khan’s conquests in the late 12th and early 13th centuries, according to National Geographic. It’s also home to numerous horse treks to and through the Gobi desert, giving you a taste of what such a nomadic lifestyle entails. Although the word ‘desert’ conjures up images of a vast, almost hypnotic expanse of sand, the Gobi is unique for the diversity of its landscapes, from sand dunes and mountains to treeless pasture lands populated by camels, bears, sheep and leopards. There are no roads, fences, signposts or way signs – only you, your guide, the endlessly shifting horizon and, of course, your horse. While the Gobi provides riders with a smorgasbord of natural scenery for the eyes to feast on, Cappadocia in central Turkey serves as a historical tour through several different ancient civilizations. According to Today’s Zaman, Cappadocia is thought to translate to “land of the beautiful horses”, so it’s appropriate that you would travel through on horseback. As you ride through, you’ll see the area’s famous rock chimneys, formed from the erosion of volcanic rock, as well as the churches hewn into the area’s copious rock formations by Christians exiled from Rome thousands of years ago. Along with this, there are Ottoman, Greek and Roman monuments scattered throughout, as well as the complex system of underground caves built long ago. Such rides can last anywhere from hours to upwards of a week, and be warned – they’re not for novices. While these are truly breathtaking tours, you may want an experience that will get your heart pumping a little quicker. If so, the Maasai Mara might be the location for you. Many a Westerner has been seduced by the untamed charm of these Kenyan planes over the decades, including Richard Burton and Ernest Hemingway. Riding past herds of elephants, galloping alongside zebras and other wildlife and even crossing rivers filled with hippos bobbing in the water, you’ll experience all the excitement of a safari. Depending on when you go, you may even be able to witness the annual Wildebeest migration, where 1.5 million of the animals travel to the area, after the end of the rainy season. You don’t necessarily need to leave U.S. shores to to enjoy a singular horseback adventure experience. If you travel down to the Beehive State’s Bryce Canyon – perhaps with your own faithful steed in tow – you can witness first-hand the bizarre and beautiful rock monuments that thousands of years of geological processes have helped to sculpt. 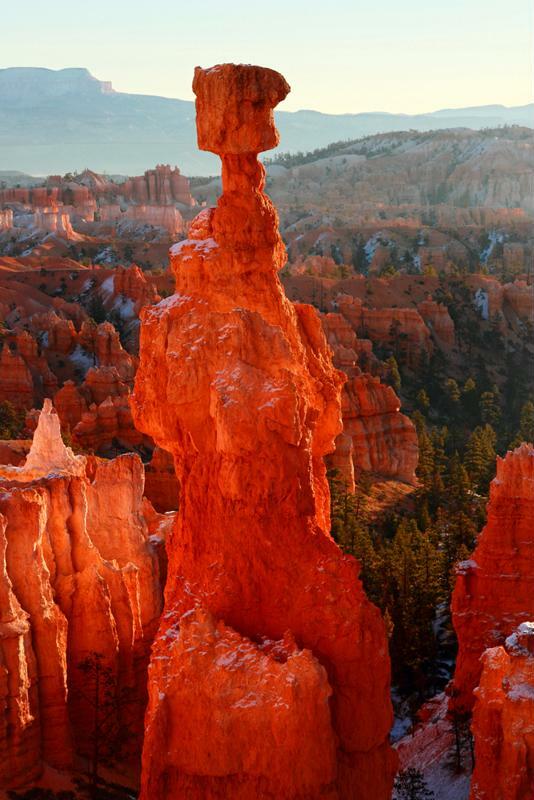 Unusual rock formations draw thousands of visitors every year. According to The Washington Post, once upon a time, famed Hollywood director John Ford chose to film his westerns in Utah for this very reason – the poetic, lonely beauty of its vast, dusty and mountainous landscapes. Now you too can enjoy the experience of traveling through the untouched frontier akin to one of Ford’s movie heroes. If you do decide to take your own horse, be sure to promote healthy hydration with quality supplements like Electrocharge or Apple-A-Day. Keep an eye on good water consumption during the ride.